“One major success of the Women’s Editorial Department was their digression from the typical advertising copy of the period—text that merely described what a product did without much embellishment. For example, an ad for Pond’s Vanishing Cream might explain its use (“Promotes firmness of skin texture”) alongside a drawing of the bottle. Resor’s team took a more psychological approach. “They connected the products in consumers’ minds with “a special kind of feminine allure, a hint of romance, social status, ideal beauty, or all of the above,” writes Denise H. Sutton, author of Globalizing Ideal Beauty, which traces the history and influence of the Women’s Editorial Department. It’s the same approach used today by car ads that feature attractive women. Women were already a force to be reckoned with in advertising well before Madmen’s ambitious Peggy Olsen worked her way from secretary to copywriter at Sterling Cooper in the 1960s. At the J. Walter Thompson (JWT) Advertising Company, women were responsible for advertising women’s products as part of JWT’s Women’s Editorial Department in the early decades of the twentieth century. The Women’s Editorial Department created many of the ad campaign strategies that we still see today. woman’s bare skin — revolutionary for 1914. Company — she created the Woodbury’s Soap ad campaign. for Procter & Gamble’s Crisco Oil. 5. Helen Lansdowne Resor was the first woman to make a presentation to the board at Procter & Gamble in 1911. 6. The Women’s Editorial Department at J. Walter Thompson brought in more than half the revenue for the company for a number of years. 7. The Pond’s Cold Cream and Vanishing Cream ad campaign, created by JWT’s Women’s Editorial Department, introduced the modern testimonial ad. 8. Helen Lansdowne Resor led a JWT contingent in New York City’s mass suffrage parades. 9. Many of the women who worked in JWT’s Women’s Editorial Department had already had successful careers in social work, public relations, editing, retail advertising, journalism, and event planning, while others held positions in women’s organizations that were active in the Suffrage Movement. 10. 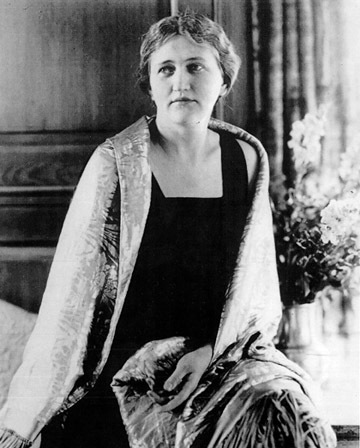 Helen Lansdowne Resor (1886-1964) was inducted into the Advertising Hall of Fame in 1967.